We finally go back to ordinary, garden variety lunations again with this Full Moon at 11° 23′ Virgo on 1 March 2018, 04:52 PM PST. Patient Saturn in Capricorn works with the Virgo Moon and the Sun-Neptune conjunction in Pisces, an ideal combination for practical applications of compassion. Mutable water with a nice mix of earth clearly dominates this lunation, creating a wonderfully fertile soil for nurturing the seeds we planted on the New Moon Solar Eclipse in Aquarius. While the luminaries plus Saturn provide a surprisingly stable foundation, it is the Mercury-Venus conjunction in Pisces in the spotlight. They are aspected by Mars in Sagittarius, Jupiter in Scorpio, Uranus in Aries and Pluto in Capricorn! Right-brained folks are going to love it because this highly creative atmosphere is well suited to the way they think. Left-brained people who depend on logical, linear thinking are the ones who are likely to struggle because the information will float in and out of the Neptune fogbank. Mercury in Pisces processes information in a holistic, intuitive manner, leaping effortlessly to the correct conclusion. Venus adds warmth and sweetness to our words that ought to help diffuse potential communication problems. Having Jupiter in Scorpio and Pluto in Capricorn strongly supporting these two is a real blessing because both are quite pragmatic as well as deeply intuitive. It is the fiery duo, Mars in Sagittarius and Uranus in Aries, who could cause problems, causing people to make rash judgment calls based on flimsy data. If at all possible, step back from the fray and process information in as quiet a place as possible. Meeting with people in person is the best option for absorbing vital non-verbal cues. Staying present and practicinge mindfulness is the best way to operate now. 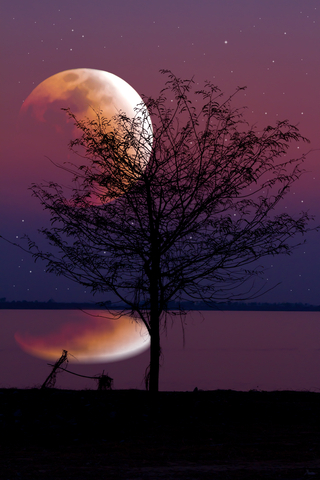 Even though the Full Moon is in earthy Virgo, the overall feel to this lunation is strongly Pisces. If we don’t center ourselves and stay in touch with reality, drifting off course is very possible. Something that might help is checking in with our personal moral compass frequently. Are we practicing patience? Is being kind, tolerant and considerate of others a high priority? If not, why? We can celebrate this Virgo Full Moon best by taking care of ourselves and our loved ones in Virgo style through establishing healthy routines in our daily lives, exercising regularly, eating good food and getting plenty of sleep. Virgo deals with the little but important things we do each day, at home and at work. It’s time to be present in the moment rather than looking far ahead . . . that’s where we live after all.